How can your child be successful? Conquer life with confidence! What is confidence? What do you learn after 10 years training #children in drama and singing and at the same time building a national #franchise business? I cannot believe that this month we celebrate our 10th Birthday at Little Voices. Little did I know that 10 years on from that conversation in a Blackburn coffee shop with fellow co founder Holly Hammond that Little Voices would be a national success, our 100% pass rate in all exams would remain across the country and I would be surrounded by the most caring, passionate and driven people striving to sustain our core beliefs every day. In 2007 we did not start with the end goal in mind in fact quite the opposite. We had in our minds the word ‘excellence’. That was it. We wanted to provide ‘drama and singing lessons of distinction!’ We would do every element to the best of our ability and provide excellent tuition. We shared a passion for training children well in drama and singing, caring and nurturing their skills, helping them to believe in themselves and truly believed in the power of tuition in drama and singing to impact a child’s entire life – being honest we also benefited from of a few extra pounds in our bank accounts each month. Honestly that was it! 10 years on we are still ensuring that EVERY child leaves EVERY lesson knowing one thing that they have done well and one thing that they need to improve upon and striving for excellence in every part of the company. A business really can grow from very humble beginnings and a couple of core elements despite a roller coaster 10 years with challenges galore I believe that we have kept what made Little Voices special at the heart of all that we do today. We do this by working with the most fantastic tutors and franchisees one could wish to know. I always say that there is no ‘I’ in team and there isn’t. We want to make a positive influence on as many children’s lives as possible and this is impossible to achieve alone. By franchising and recruiting excellent Principals and Tutors we have been able to bring Little Voices to so many more families across the UK and we are still growing! We have shaped Little Voices to really stand out of the crowd. We are not a theatre school or a performance based training organisation. They exist in towns and cities across the country and they play an important part in a child’s development but fundamental to a child’s success is their belief in themselves and the nurturing of their individual strengths and weaknesses. They need individual attention, care and the time to have their skills nurtured. We have worked hard to now shout from the rooftops that we sit in the education industry and provide inspirational music and drama education to all children working in partnership for the most part with schools. We work alongside schools both in the school day and as an activity accessible after school for those parents that want to ensure their child has life skills and the confidence to pursue any career that they choose to and all of this is done in a fun, structured way in a very small group. Every child takes examinations with L.A.M.D.A. and this helps them to embrace an examination situation in a positive way as well as building their CV from a very young age. As L.A.M.D.A.’s second biggest customer, globally, we are clearly doing something right both for the children and those that work with us.We take away the fear away from that word ‘exam’. Young people are assessed and examined throughout their school life and we can help children to approach this in a fearless way, positively and with confidence. At the same time children and parents are unknowingly building their child’s CV from a very young age and equipping them for interviews, presentations, meetings and a life of success in whichever career they choose! Of course we have had several children that have gone on to pursue a professional career in the industry but the vast majority of our children leave us prepared for the big wide world of work in a range of professions that also happens to include the acting/music profession.We exist to help add important layers to a child’s education. It is all about the individual child and ensuring that they become the best that they can be. You never stop learning and neither should you! Teaching is a vocation and it is a two way thing. Embrace it – I do! I am hungry to learn constantly. Children teach you so much about yourself as well as you facilitating their learning. It’s not easy – Every challenge that you face should be embraced as an opportunity to learn. You get out what you put in and sometimes you are putting so much in and getting very little out that it takes a strong mental determination and passion to keep you going. Take the rough with the smooth as my dad always said! There is never a quick win it takes blood, sweat and tears and practice makes perfect! A huge accolade for the entire network of Little Voices; every Franchisee, Tutor, Parent and Pupil. Proud to announce that our CEO of Little Voices has WON Inspirational Woman in Franchising 2018! Your child excelling in their Christmas Production or nativity or struggling with the enormity of it all! – from a parent and a teacher’s perspective! It was during the Christmas period that my own voice was really spotted at my Junior School, Heathfield! We were performing the nativity “He’s Only a Baby” and I was chosen to be Mary. I sang solo for the very first time and my parents and grandparents were there to watch, stunned and amazed. All the other parents were apparently coming up to them afterwards saying “Oh my goodness her voice is outstanding where does she have singing lessons?” I didn’t have singing lessons, I didn’t really even know that I was that good a singer. But I was, it seemed, and from that performance on I was bitten by the singing bug and the love of performing. It gave me the confidence to pursue singing lessons and it gave my parents the foresight to channel my passion and something that I was good at. It is thanks to them that my talent for performing was nurtured from this point on! Little did they know that the cost would run into thousands and thousands years on and two degrees later! It is always at this time of year that you are invited into school to see the Christmas Nativity or School Production as a parent or you are in the midst of frantically pulling a performance together as a teacher. I believe that it is at this time of year that potential in children is spotted as parents and teachers alike see a child in a different light. They see them cope with the nerves, the pressure, the excitement and the challenge of performance. Those children that have been hiding their light under a bushel bubble to the surface! They achieve new things and every child pushes their comfort boundary and rises to the challenge. I saw this only last night when I found myself in a dual role as teacher and parent. My own daughter was performing in her school Christmas nativity performance; however, as the teacher in charge of the choir I was very much a part of the production too. As a parent I know firsthand how it feels to see your child standing on stage performing, you only have eyes for them. However, last night, in my teacher role, I accompanied and observed children of all ages excelling in their performances both sung, spoken and dramatically on stage in the most beautiful church. I was so proud and I could see pride in all of their parent’s faces too in the audience of several hundred. To be honest I couldn’t really see my own child from where I was positioned with the piano and so I couldn’t be parent last night, sadly! Among a school performance the success is not just about the ‘stars of the show’ it runs so much deeper than that. There are many less confident children involved too and their success is often just in being able to stand in front of such a mass of people. For some, performing is a really daunting experience but I absolutely know that the benefits of learning how to perform and learning in a fun environment are immense. The benefits for them in later life are immeasurable; we all have to communicate to strangers in our workplace, we all have to learn to project our voices and have the confidence to deal with interview (scary) situations. It is so important that children are given the skills to be able to deal with these life situations. When I see a child on the stage struggling to cope with the attention and daunting situation or not clearly enunciating their words it is equally a child that I want to help and work with to develop the skills through drama and singing to perform. This is as important to me as wanting to help those with talent shining through. If this rings true with you and anything I have said has touched you, or sounds like your child this December then I urge you to find something next year to help your child to grow. It is the perfect time for parents to look for an after school activity that can help them develop their confidence next year or develop their talent. You will witness the growth of their confidence in all areas of their life in the future. My little 7 year old is a bundle of energy and excitement as the adrenalin kicks in and she is keen to get on stage and perform. This is no doubt because she has it in her blood, I suppose, but also because she has had it nurtured for so many years at Little Voices. Starting the company was the best thing that I ever did all those years ago, I have the best of all worlds and seeing children develop is the most rewarding of all! I am currently living in Amsterdam, The Netherlands, after taking a last minute job role with 2 weeks notice I had to pack up my life and move over here! I am a Women’s Footwear Merchandising Intern at Tommy Hilfiger International Head Office. 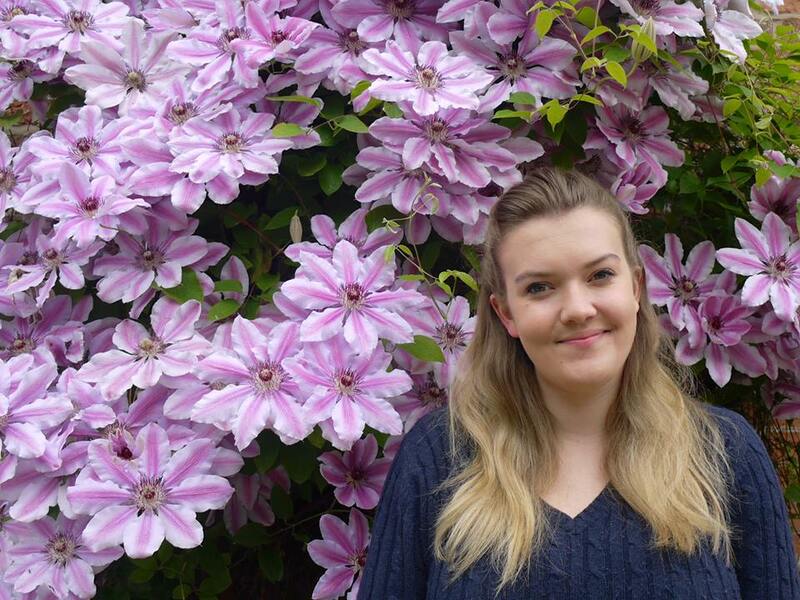 I am on a placement year from the University of Manchester where I study Design Management for Fashion Retailing BSc Hons. I hope to create my own fashion brand and take on the role of Director and Head Buyer within this, focusing on fast fashion which is affordable but super chic! I plan on moving to Australia in September 2016 to complete a Masters in Fashion Business at the Fashion Institute in Sydney to help further my knowledge in fashion! When did you first join Little Voices? I joined Little Voices in 2006 and stayed throughout School and Sixth form until I left for university. How did you/your parents hear about Little Voices? What made you attend and stay with Little Voices? How do you think Little Voices has helped you – is there a direct correlation between what you are doing now and your attendance at Little Voices? What did you love about your lessons? I loved the freedom of the lessons, and the structure of the lessons (one week singing, one week drama). The teachers made you feel so comfortable, and the other pupils were great to get along with. Having the choice of musicals and plays meant you always had the freedom to choose characters. Little Voices expanded my vocal range, and dramatic skills which have significantly impacted my life today. Marking the closing of the recent National Entrepreneurs Convention at the ICC in Birmingham, Jane Maudsley, Founder and Managing Director of Little Voices, national performing arts training organisation, put on a spectacular performance of The Impossible Dream to inspire the 1500 strong audience of fellow business owners, teachers of performing arts and pupils to believe in the power of their Dreams – that sometimes seem impossible. Leading by example from the very top Jane is passionate about inspiring and training the Principals, Tutors and Pupils within Little Voices so that they grow in confidence and never feel that their dream is unreachable! 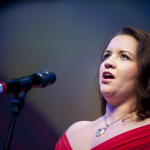 Mezzo Soprano, Jane commented: “For months I had to keep this performance quiet so that it would have a significant impact at the end of the two day convention and finally it happened. It is all about having a dream and then achieving it and the lyrics perfectly reflect this. Whether you are a performer, teacher or pupil it is so important to have those dreams and to remember that we are capable of realising them,” she said. Jane closed the ceremony for the Entrepreneurs Convention; a place where business people from across Europe discover what’s new and innovative in business right now and how they can build super successful businesses, during which the likes of Apple co founder Steve Wozniak, spoke on stage, to showcase how to head for your Impossible Dreams! Little Voices offers lessons in singing and acting for children over the age of four. Its students have gone on to gain places in prestigious acting schools and television shows for Channel 4 and the BBC. The professional approach that Little Voices takes to tuition, together with small classes capped at six students, helps students to improve quickly and attain high standards. Becoming a Principal and having your own Little Voices provides a fantastic opportunity for individuals to join a supportive network using a tried, tested and proven business model. Further pictures and interviews with parents, children and the Founder of Little Voices are available on request. Do please email or call. Little Voices was established in September 2007 in the North-West of England by its founders Holly Hammond and Jane Maudsley, who had a passion to create Drama and Singing lessons of Distinction; Little Voices was formed and within its first year became a national success. 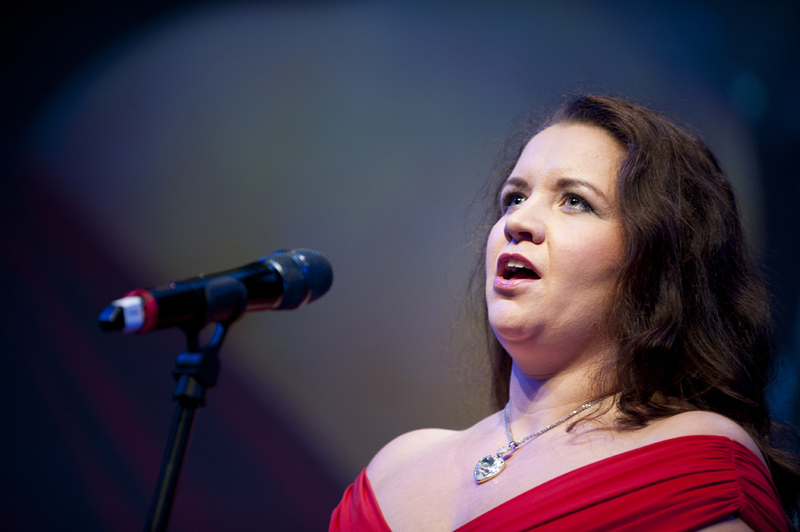 Jane Maudsley, a professional opera singer, graduate of the RSAMD and a highly respected vocal tutor was keen to build a reputation in the performing arts industry for providing Drama and Singing training at the highest level. Little Voices has many centres in the North West but nationally locations are opening in the South West, a second venue in London and Yorkshire. All Tutors hold relevant Music or Drama qualifications and have a wealth of experience in the performing arts industry. They have fully compliant with our Safeguarding Policies and Procedure and have enhanced DBS checks. All of our Tutors are trained, supported and led by Little Voices Principals and Managing Director, Jane Maudsley. Fiona Porritt tells us all about her journey post Little Voices! I have just completed my second year, studying Theatre at Brunel University in London. After leaving school and completing my time at Little Voices I was accepted onto the Musical Theatre foundation course at The Oxford School of Drama. This was a natural progression from the training I had gained at Little Voices. I am currently an intern for Les Enfants Terribles Theatre Company. This has given me invaluable experience of the inner workings of a successful theatre company. I recently worked the Edinburgh Fringe Festival where I was stage manager on their production of ‘Dr Longitude’s Marvellous Imaginary Menagerie’. I hope that I’m still young enough to not know exactly what I want to be when I grow up! However I know for sure that I’d like to work within theatre, preferably in a creative and collaborative environment. When I started sixth form. I definitely gained a lot of confidence in my ability. I was paired with girls in older years to me and this pushed me to work hard in lessons. As I completed my Grade 8 I gained UCAS points. When applying for university courses it gave me something else to write about. I believe that universities look at these qualifications very positively, even if it isn’t a career within the arts you with to pursue. What did you love about the lessons? I loved working in partners and singing duets. I had experienced other acting and singing exams before but they had always been on my own. We were able to try out our ideas in what was a safe environment, and then see the rewards for our efforts in the exam results we achieved. Take every opportunity that is given to you as any experience is valuable. 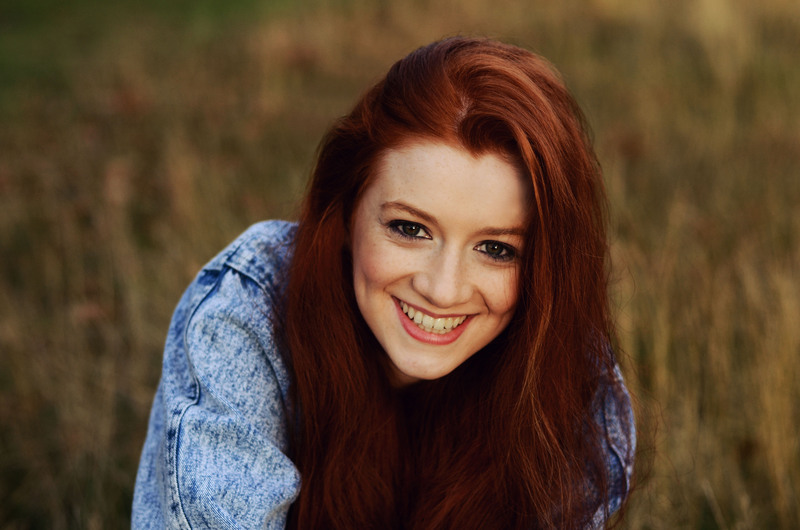 We were really privileged to conduct this week’s past pupil profile with Ciara Baxendale, one of the first Little Voices pupils from 2007 and now one of the youngest students studying at RADA. She offers advice and words of inspiration for up and coming actors/singers at Little Voices. I am currently living and working in London, having completed the foundation course in Acting at RADA in March 2014. I would like to continue acting for as long as I can, and would like the opportunity to work professionally on the stage, as so far I have mainly worked in Television and Film. I am also interested in producing, and would like to create my own films in the future. I joined Little Voices when it first began as one of the first ever pupils in 2007 How did you/your parents hear about Little Voices? I heard about Little Voices from my school, Westholme, where I had singing lessons and my teacher recommended that I try one of the classes. I loved the lessons and formed a close-knit bond with the members of my group. I was always encouraged by the teachers, which boosted my confidence and encouraged me to stretch myself in performance. I definitely think Little Voices helped me by giving me confidence, especially singing in front of others. I have had several auditions where I have had to sing and I would have been a lot more nervous without my training from Little Voices, which encouraged me to sing front of others, and to perform the song, not to just sing it! My favourite thing about lessons was preparing for exams. I know it sounds odd but I actually really enjoyed taking LAMDA exams and reading the examiners comments so I would know what to improve on next time around, and I loved getting to learn lots of different songs from all the musicals and having the chance to play lots of different roles! If you truly want to reach your goal, you will achieve it. Success comes from belief in yourself, don’t listen to anyone who says that you can’t do it. 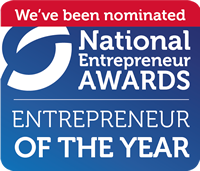 Entrepreneur of the Year Nomination for Jane! Performing Arts businesswoman and opera singer, Jane Maudsley, has been nominated for the prestigious Entrepreneur of the Year awards. Later this month Jane will travel to the ICC in Birmingham to see if she is successful in receiving this National Award from the host of the Awards ceremony, Alistair McGowan. 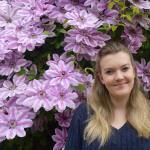 Jane is the co founder of Little Voices and started the performing arts business 7 years ago in Blackburn, Lancashire. Little Voices focuses on expert guidance and traditional teaching methods in singing and acting, delivered in small group lessons of a maximum of 8 pupils to maximise student development. Two years ago Jane franchised the business across the UK to help passionate individuals with an interest and expertise in the performing arts to run successful businesses in a supportive and knowledgeable network. She now boasts locations in West Kent, Dorset, London, Peterborough, Greater Manchester, The Fylde, Preston, Yorkshire and of course the flagship locations run very successfully in Blackburn and the Ribble Valley. Jane commented: “I am thrilled that I have been nominated for this award. I love what I do and bounce out of bed every morning so eager to get to work! It is an honour to be in this category and it is an award that I would treasure and feel is representative of the entire team of Franchisees, Tutors, Parents and Pupils that have enabled my success with Little Voices. There is no ‘I’ in team and we have the best support network ever. I will only accept the best and hence why our vision for the future is to be the only performing arts organisation that parents consider when they are looking for high quality training in the UK,” she said. Little Voices is elite training for those children who wish to build their confidence or head for a life on the stage! They pride themselves on caring for each and every child and nurturing their talent and confidence so that they are well prepared for life. They boast a 100% pass rate in all of their exams and excel with Merits and Distinctions year after year. Jane is a professionally trained Opera Singer and will also be singing at the ICC at the closing ceremony of the Entrepreneurs Convention. It will be a huge accolade if she can also secure this award!